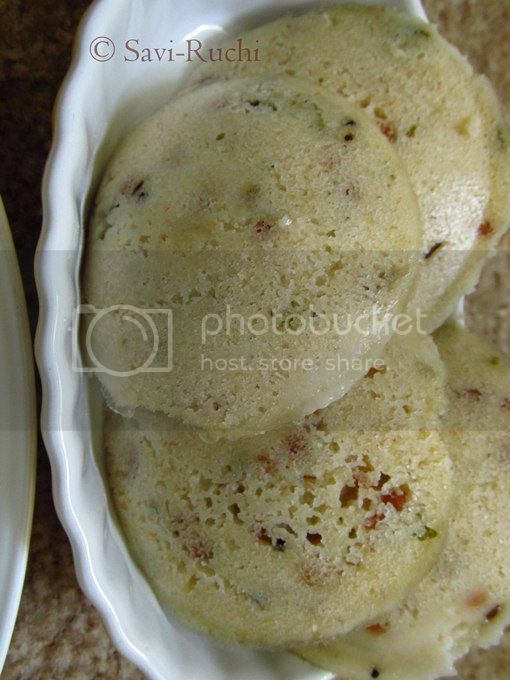 ...... How to make oats idli? When I was in India last year, I happened to follow few of the regional cookery shows. Most of the cookery shows talked about being healthy; healthy foods & magical grains that helped the humans. Every single show talked about oats. My question is are we encouraging the usage of oats at the cost of our staple food?? We have such wonderful grains like ragi/finger millet, jola/sorghum, bajra/pearl millet & others. They are all great for health. Why are those grains not encouraged? No, I'm not against eating oats. I too buy oats & use it regularly.What I mean to say here is, don't blindly follow what is said. Consume oats but at the same time analyze what is better for you! Here is a reference of nutritional information of oats and sorghum. Refer here for more. Above information is taken from here. Wasn't that too much of controversial discussion?! Let me get back to my business! 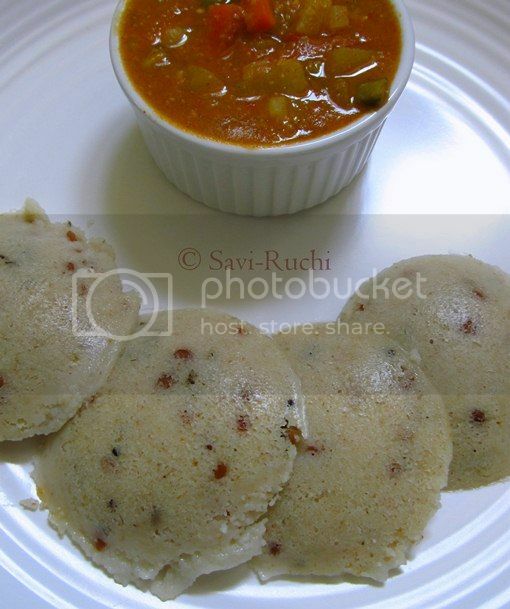 Here is the recipe of oats idli. Dry roast the oats on medium heat until it changes its color. Allow it to cool. Once cool, grind it to a coarse powder. Heat oil in a broad pan. When oil is hot, throw in the mustard seeds. When the mustard seeds splatter, add the channa dal & cashew nuts. Roast until the dal & nuts turn golden brown. Add in the curry leaves & saute. Add the semolina to the mixture & roast on medium heat until the semolina releases a nice aroma. 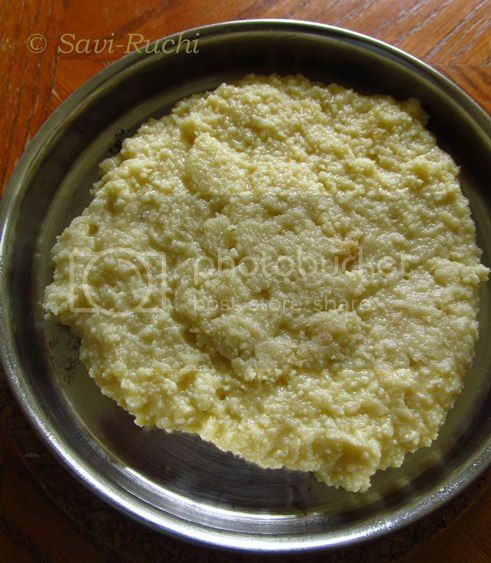 The semolina will gradually turn to golden brown. Turn off the heat & scoop it out to a clean bowl. Allow it to cool. 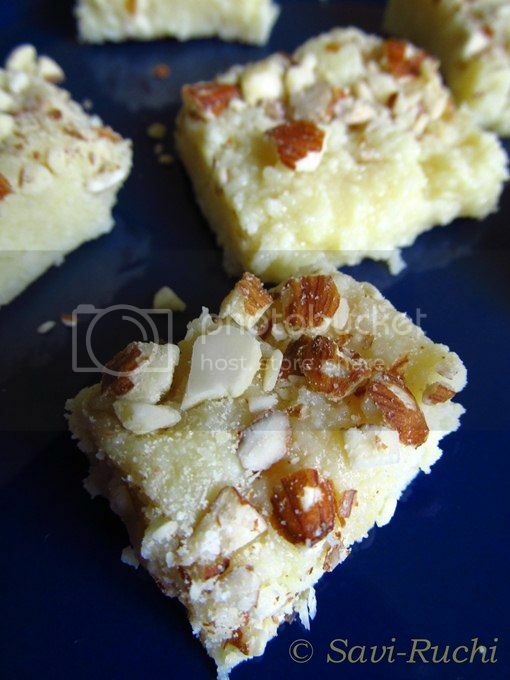 Once the semolina comes back to room temperature, add in the powdered oats & mix well. Beat the yogurt & add the yogurt, water & salt to the semolina oats mixture. Mix well & let it sit for about 30 mins. 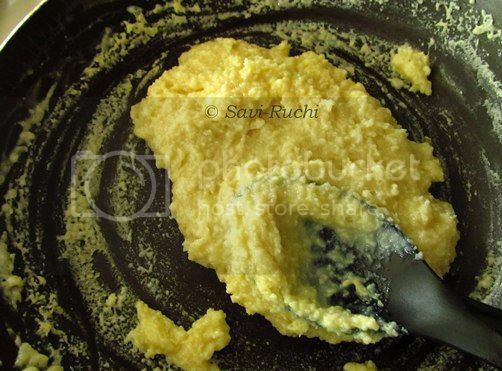 The mixture will thicken after 30 mins, add little water to bring it to the normal idli batter consistency. Grease the idli plates/moulds & keep the steamer on medium-high heat. Add in the fruit salt & mix gently. The batter will rise & become soft & fluffy. Scoop out around 2-3 tbsp of batter & pour it on the idli/idly moulds. 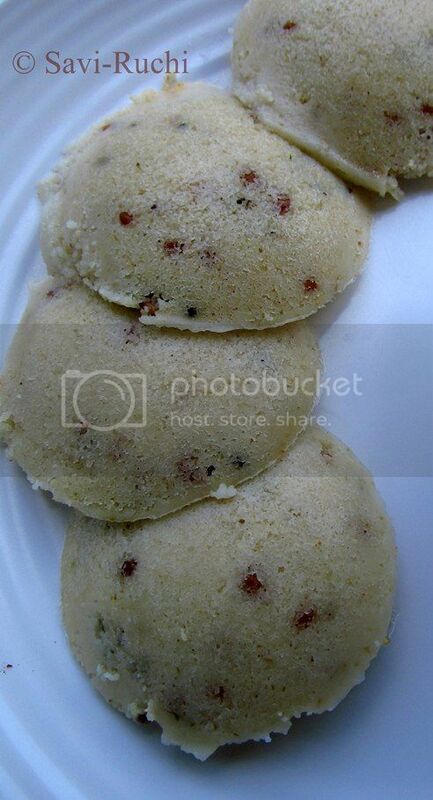 Steam the idlis for 15-20 mins. Allow it to cool for 5 mins. Serve it hot with a chutney/dip of your choice. If you cannot find Eno's fruit salt, you could replace it with half the quantity of baking soda. 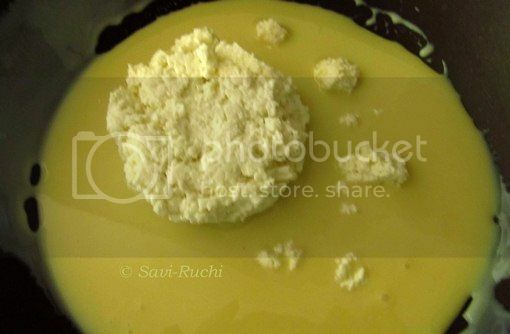 Once baking soda/ fruit salt is added to the batter, make the idlis immediately. The batter should not be kept for a long time unused. 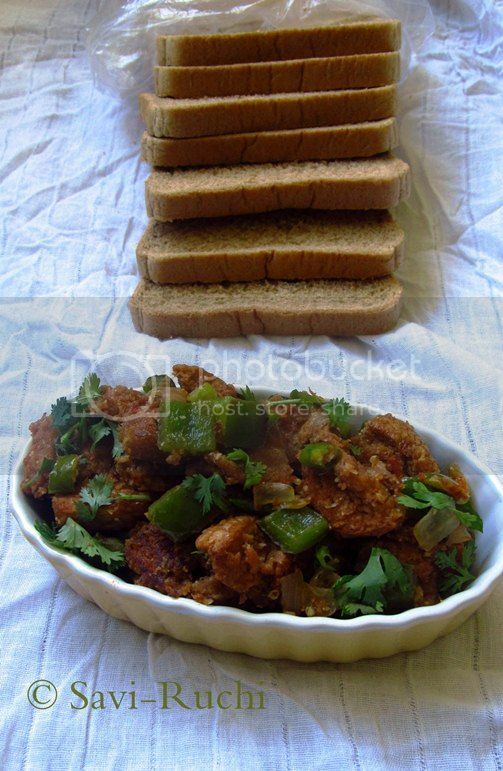 Bread Chilli in Chilli Parotta Style with step-by-step pictures! Bread slices: 8 nos, I used wheat bread. Roughly chop the onion & tomato. Keep it aside. Heat oil in a medium sized pan. When oil is hot, throw in the onions. Saute till the onion become transparent. Add in the tomatoes & saute till tomatoes become soft. Add the poppy seeds, cashew nuts, coriander powder, red chilli powder, garam masala, salt & mix thoroughly. Cook on a medium heat for a couple of minutes. Let the mixture cool. 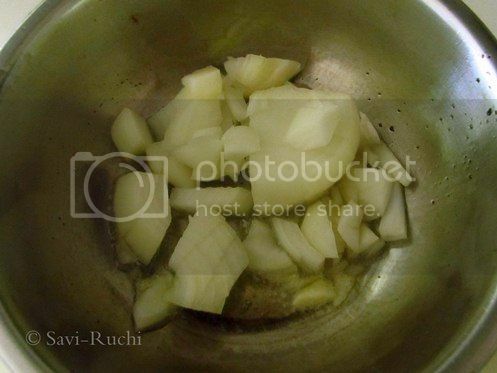 Once the mixture is cool, make a smooth paste out of it by adding couple of teaspoons of water. Scoop out the spice paste & keep it aside. Toast the bread (either on a griddle or toaster). Cut them into 1/2 inch cubes & keep aside. Heat oil in a broad wok. 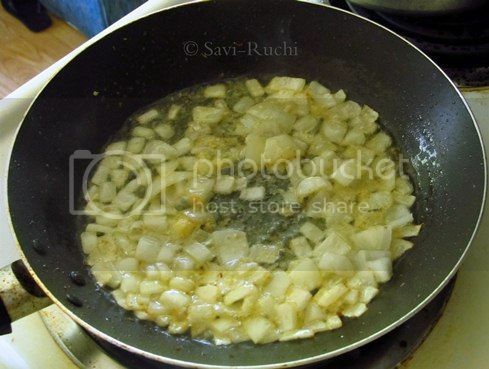 Once oil is hot, throw in the onion & ginger-garlic paste. Toss on a medium-high heat. 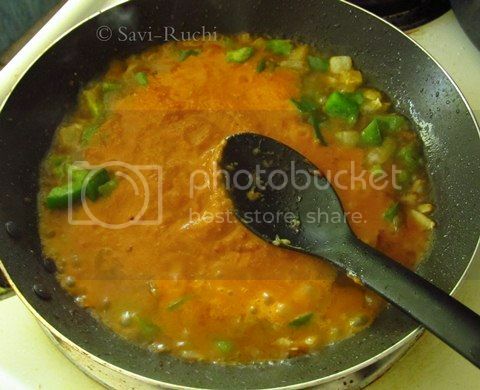 When the onion turns golden brown, add in the capsicum & green chillies. Saute on high heat. Add in the spice paste, salt & saute again. Add couple of tablespoons of water,if needed. 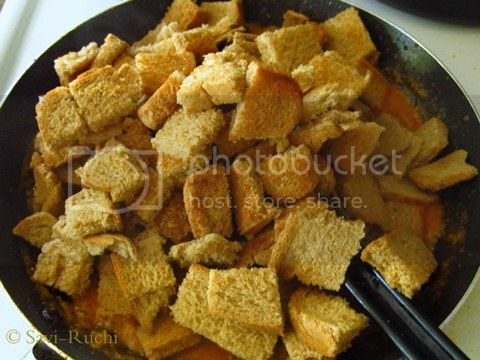 Throw in the cut bread slices & toss well. Toss the bread on medium-high for couple of minutes. 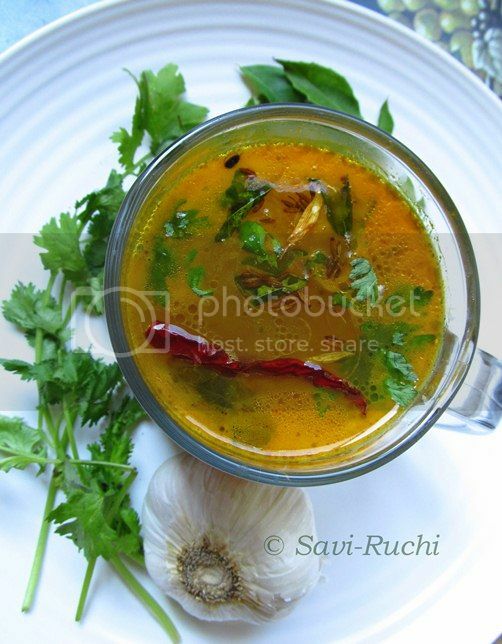 Turn off the heat, garnish with coriander leaves & enjoy! 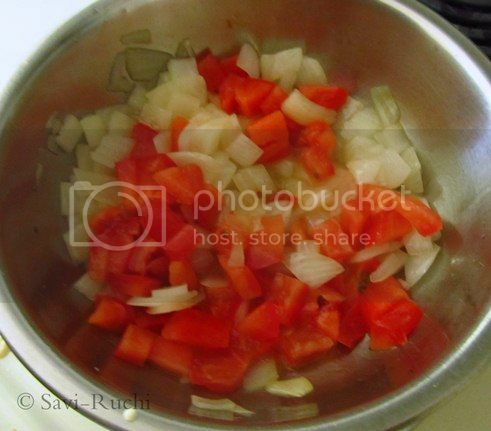 It is important to toss the onion, capsicum & bread on medium-high heat. Remember we added salt while making the spice paste. So, adjust the salt accordingly. This dish could be garnished with spring onion greens too. When trying to chop the boiled potato, it sticks to the knife. To avoid it, dip the knife in water & then chop the boiled potatoes. Sometimes dosa(especially neer dosa)/akki rotti sticks to the spatula when we try to remove it from the griddle. Dip the spatula in water & then use it. The dosa will no more stick to the spatula. This dish is nothing to fancy about. 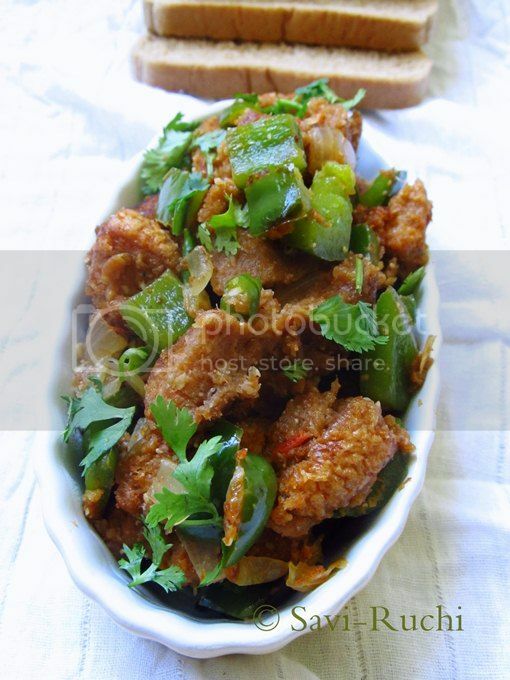 It is a very simple & quick stir-fry that can be whipped in less than 30 mins. 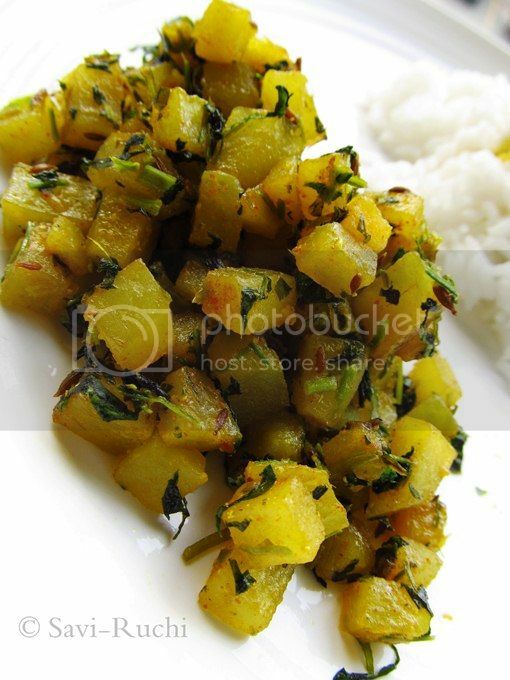 It tastes great as a side dish with roti, rice-dal or paratha! Wash the potatoes, peel the skin & dice them. Soak the potatoes in water. Heat oil in a broad pan. When the oil is hot, add cumin seeds. When cumin seeds turn brown, add in the ginger-garlic paste. 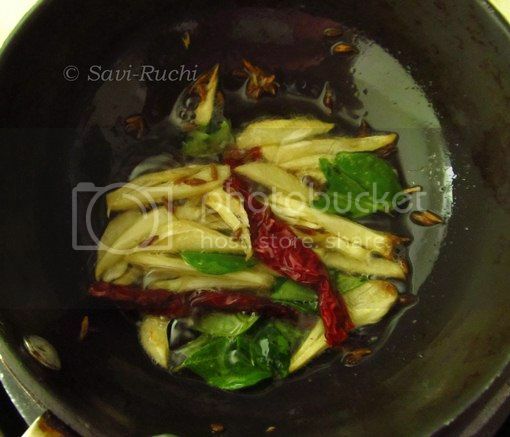 Saute till the raw flavor of the ginger-garlic disappears. 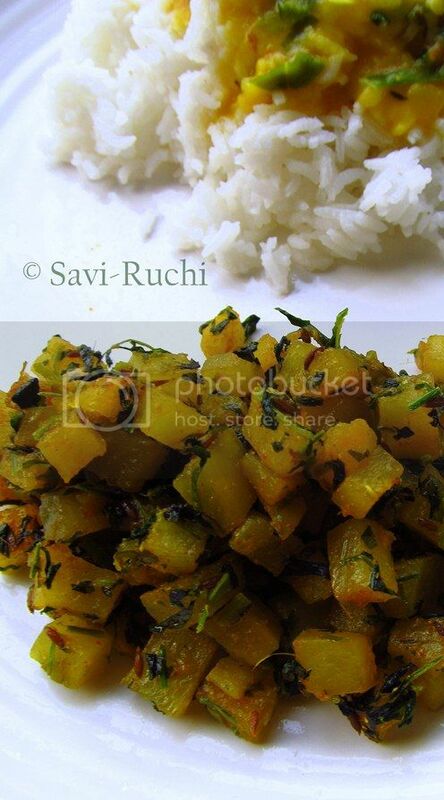 Throw in the methi leaves & saute for a couple of minutes. 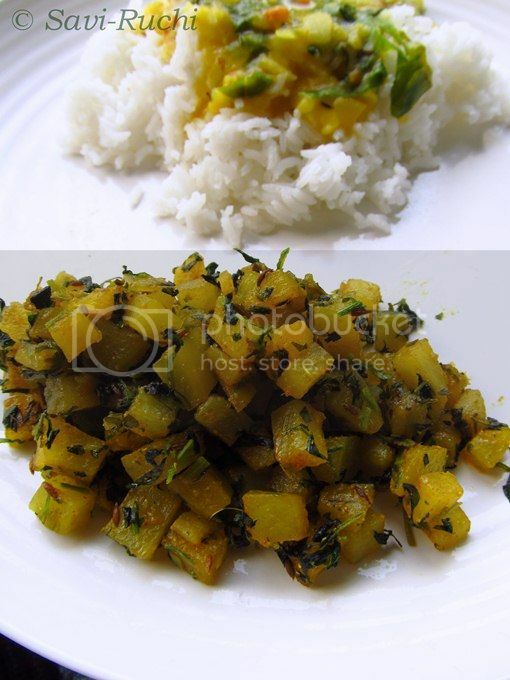 Drain the diced potatoes & add the potatoes the sauteed methi leaves. Add the chilli powder, turmeric powder, coriander powder & mix well. Cook it covered until the potatoes are almost done. Keep stirring in between to ensure the potatoes doesn't burn & get cooked evenly. Add the salt & mix well. Keep cooking until the potatoes are soft. Turn off the heat & serve it hot! This is a very basic & a simple potato roast. 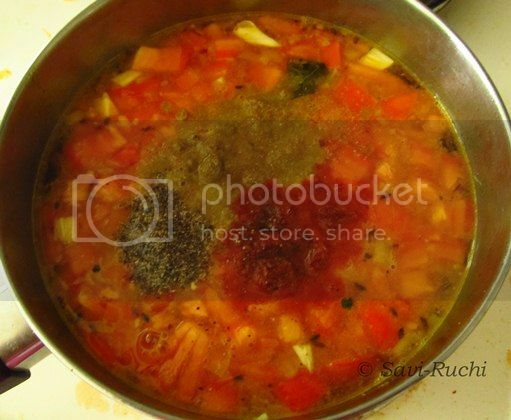 You could add other vegetables too, to make this dish more nutritious & interesting. I sometimes add in green peas or cauliflower. If you are using fresh methi leaves, separate only the leaves from the stem and wash thoroughly before adding! 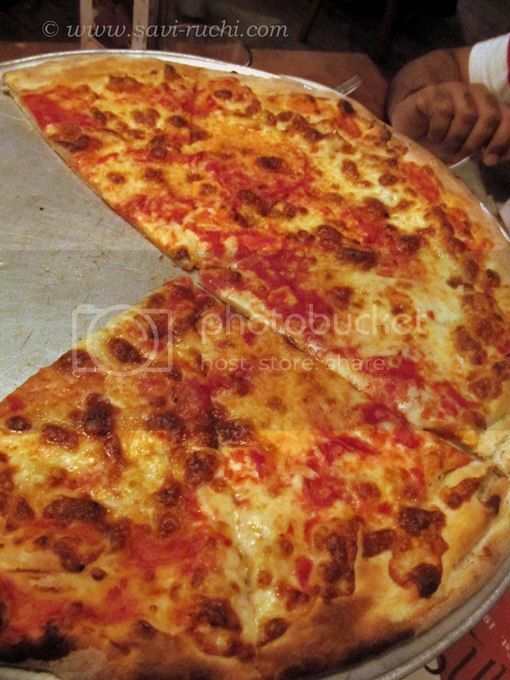 Hubby had done a decent search of the popular pizzerias at New York to taste their signature coal-fired New York style pizza. However, we had to avoid many of them, because of extremely long queues. The long queues clearly tells that people are darn crazy about good food. I have even heard that people even plan a food trip to New York!! 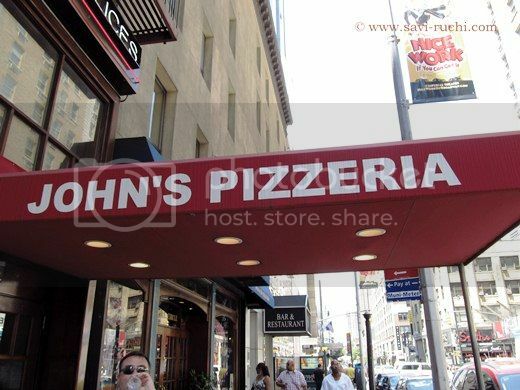 We had to settle for John's Pizzeria at Times Square. 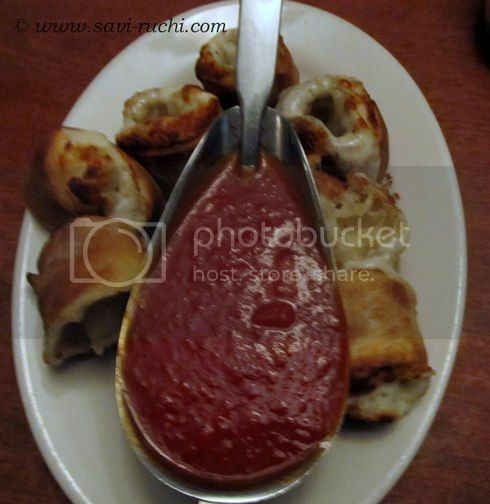 We started with John's garlic rolls. It was served with marinara sauce. We got 7 rolls & the taste was pretty good. We ordered the traditional large pizza without any toppings. 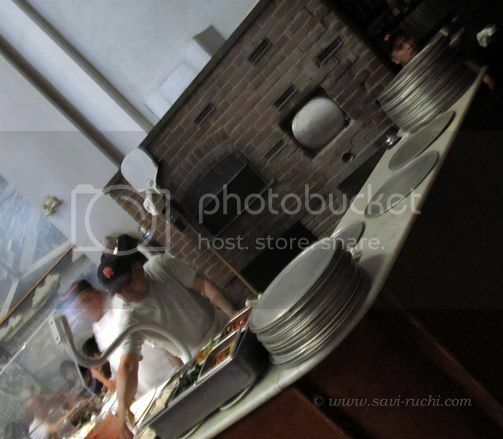 The service with the starter was quite quick & we hoped to get the pizza to at the same speed. However, we were wrong. We waited for a good 45 mins before we got the pizza. We were tired of waiting. We did not like it at the first bite, but then slowly started enjoying it. 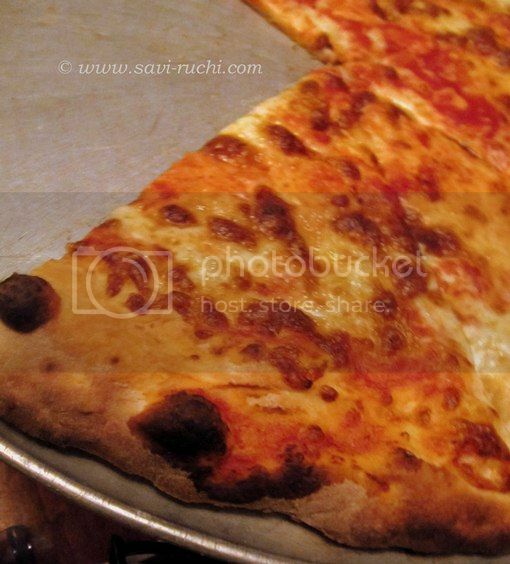 The edges of the pizza was crisp & crunchy, while the center was soft. The dough was flavored with carom seeds! The smoky flavor was very different from the regular pizzas that we have had before. We could hardly finish 2 slices each from that large pizza & hence packed the remaining. The cost of the large pizza is $16.25. The next day, we reheated the left over pizza in the microwave & it tasted delicious. It tasted fresh & felt just out of oven. I have not had the same feeling with any other left over pizzas!! Their menu is huge. Apart from the pizzas, they had many varieties of pasta, calzone's & desserts. We wanted to have a three course meal, but ended up leaving without having the desserts! Yes, you read it right, the desserts! We had couple of hours for our lunch & the service at the restaurant was so slow that we could only have the starter & the pizza. Wish their service was fast enough. Cost for two: Around $28 without any drink and dessert. 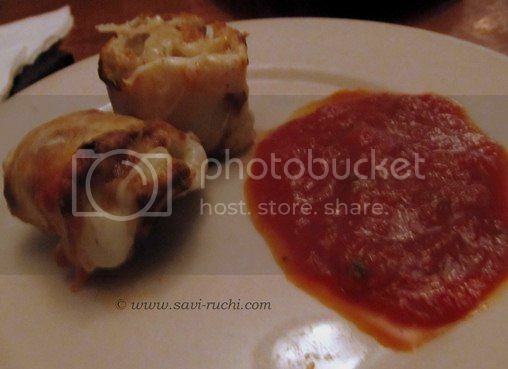 The advantage with this restaurant is, it is in the Times Square & is easily accessible. The restaurant is huge, hence waiting time is considerably less. In fact, we did not even wait to be seated. **Pardon the noisy pictures as it was a fine dining place. Disclaimer: This is not a paid review! 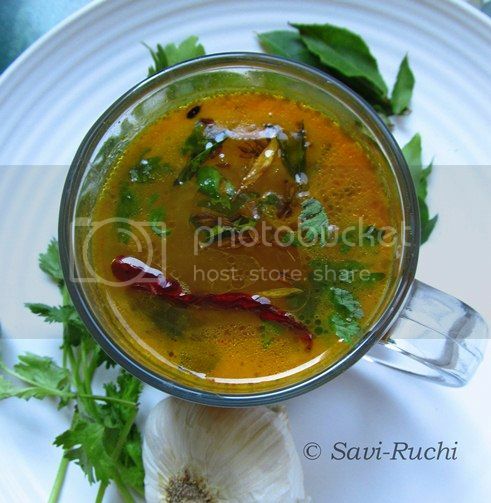 The aroma of this rasam is so tantalizing that even a person who is not hungry would not mind eating or sipping this rasam. It is a great drink as is too! 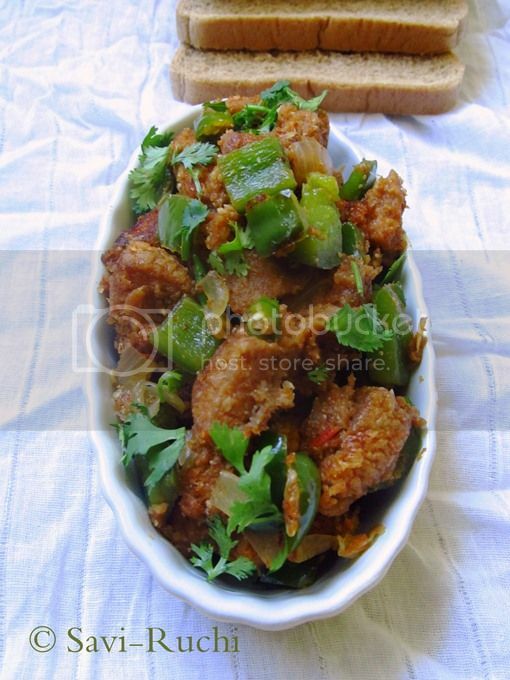 I learnt this recipe during my Singapore days from a Malayali friend. This post was in draft for almost 2 years!! Was never happy with the pictures clicked previously & did not publish it. 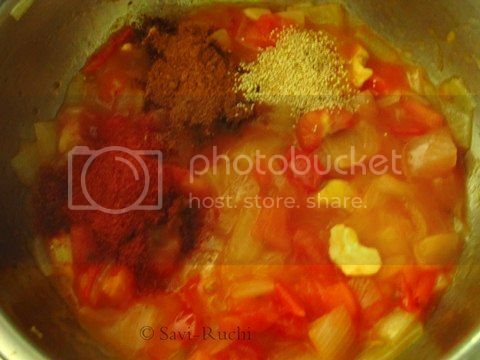 Dice the tomatoes & finely chop the shallots/sambar onion. Heat oil in a sauce pan. When oil is hot, throw in mustard seeds & cumin seeds.When seeds turn golden brown, add the finely chopped onion & curry leaves.Saute till the onions are translucent. Add the tomatoes & chopped green chillies. Saute. Then pour in the water, tamarind paste, crushed garlic, turmeric powder, red chilli powder, dhania powder, crushed pepper, salt & curry leaves. Reduce the heat to medium & let it boil. Stir in once a while. The flavors will be infused in the water & the aroma will fill your kitchen. Let it boil for 15-20 mins on a medium-low heat. Turn off the heat. Heat oil in a small pan. When oil is hot, add the cumin seeds. When seeds turn golden brown, add the garlic & allow the garlic to turn golden brown. Finally throw in the curry leaves & broken dry chilli. 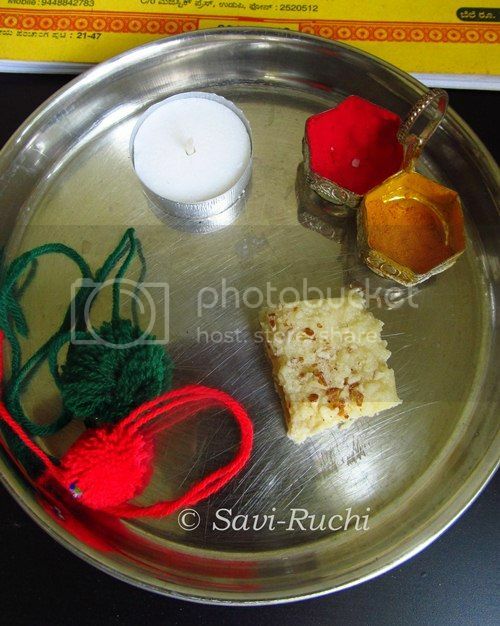 Pour the tempering over the boiling rasam & cover the rasam with a lid. 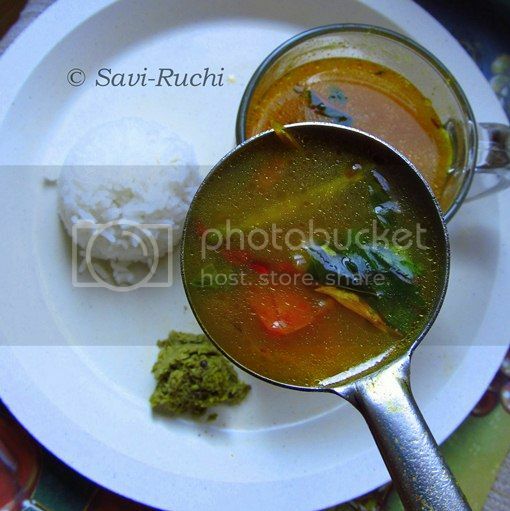 Serve the hot rasam with rice or as a drink! 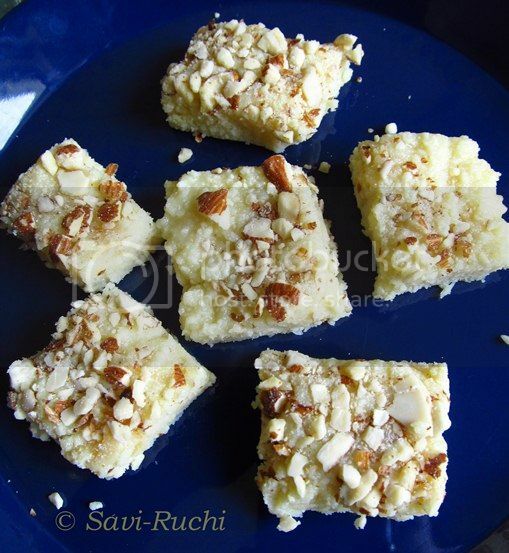 To celebrate the festival, I made a quicker version of kalakand. This gets done in around 20 mins. Cooling time: About an hour. Grease a plate & keep it aside. 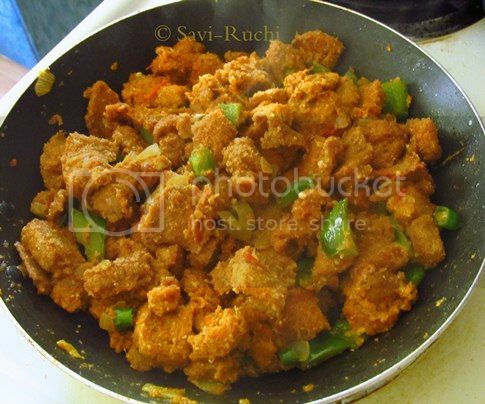 Pour the condensed milk & paneer to a thick bottomed non-stick pan. Keep stirring the mixture on a low-medium heat. The mixture will first become thin. 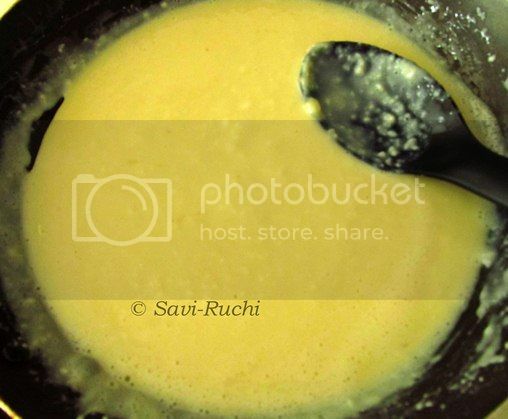 Keep stirring continuously until the mixture leaves the edges of the pan & forms a ball. 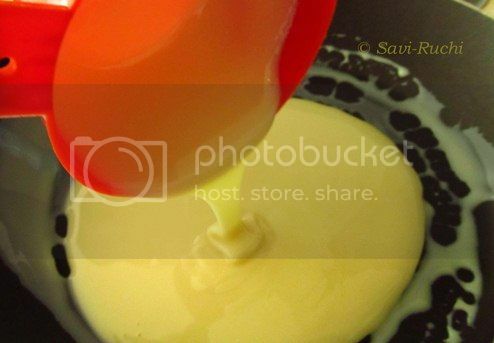 Scoop the mixture to the greased plate & spread the mixture evenly. Let it cool for 10 mins. Cut them into desired shape & enjoy it with your loved ones.